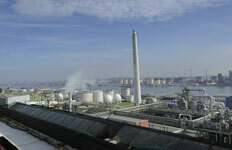 Speciality chemicals company Lanxess has taken its new plant for polyamide plastics in Antwerp, Belgium, into operation as planned. 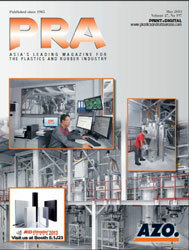 The world-scale facility for polyamide plastics is designed for an capacity of around 90,000 tonnes/year. It represents an investment volume of EUR75 million. 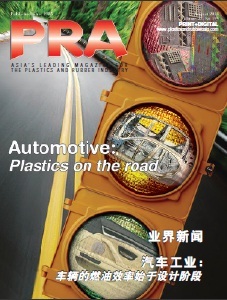 The main customer of lightweight plastics is the automotive industry. Following the current starting-up phase, the capacity utilisation rate of the plant will be gradually increased in the coming months. All plastics manufactured by Lanxess at Antwerp will be processed within its global network of compounding facilities into the final Durethan-brand products. In addition, the new plant for the polymerisation of high-tech plastics has been built in the direct vicinity of the caprolactam facility operated by the Group in Antwerp. Caprolactam is the key intermediate for plastics manufacturing. With the inauguration of the polyamide plant, Lanxess will be able to increase its captive use of caprolactam. After the polymerisation the plastics are reinforced among others with glass fibers to further improve their properties and adapt them to customer needs. The glass fibres required for this purpose are also produced at a Lanxess facility in Antwerp. The automotive industry is a key customer of Lanxess’s High Performance Materials (HPM) business unit, with the materials helping to build much lighter plastic parts that can replace metal ones in motor vehicles and thus contribute to reducing fuel consumption and emissions. A lightweight design can reduce weight by 10 to 50%, depending on the component. Parts include engine applications, door structures, pedals, front ends and cockpit crossmembers. The HPM business unit is headed by Michael Zobel and is part of the Performance Polymers segment, which generated EUR4.5 billion in total sales in fiscal year 2013. HPM has roughly 1,500 employees worldwide and operates production facilities in Belgium (Antwerp), Germany (Krefeld-Uerdingen, Hamm-Uentrop, Brilon), China (Wuxi), India (Jhagadia), United States (Gastonia) and Brazil (Porto Feliz).